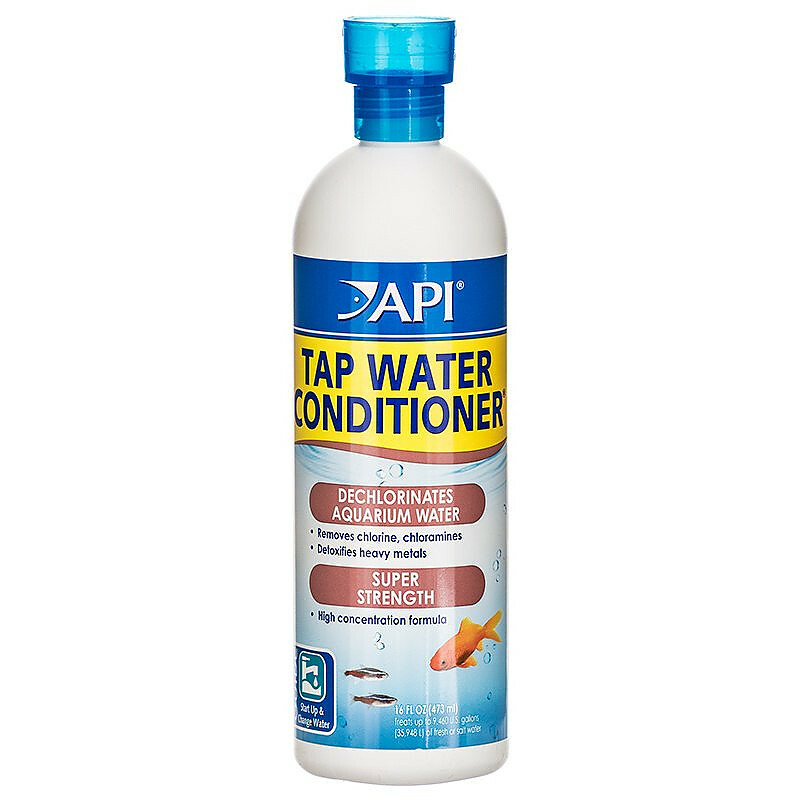 API Tap Water Conditioner is a super-strength water conditioner that instantly removes chlorine and detoxifies heavy metals in tap water. 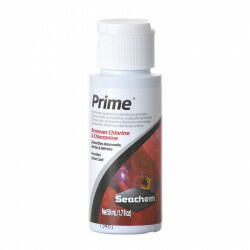 Its highly concentrated formula is perfect for use when setting up a new aquarium or adding water. 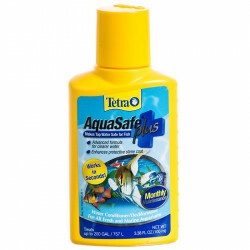 Safe for all aquatic life. Heavy metals, such as copper, lead, and zinc, can be found in most tap water supplies. These metals are toxic to tropical fish; treating the aquarium when adding tap water reduces the risk of fish illness or death from these elements. Directions: To remove chlorine and detoxify heavy metals: Add 1 teaspoon (5 ml) for each 100 gallons (380 L) of aquarium water. To detoxify chloramines: Add 1 teaspoon (5 ml) for each 30 gallons (114 L) of aquarium water. 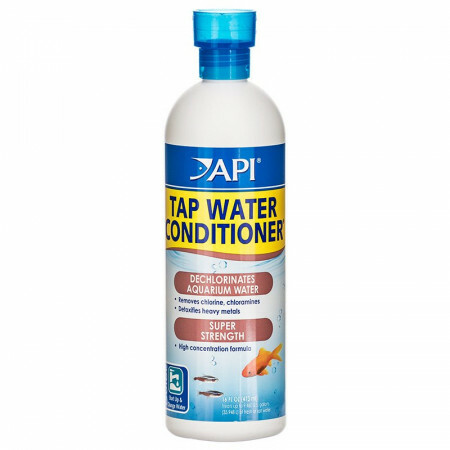 This tap water conditioner removes chlorine without adding slime coats and other extras. 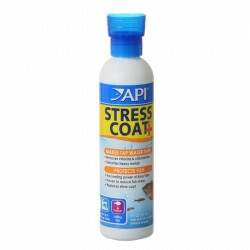 I will add those as needed, but prefer to maintain my tanks safely while still using as few chemicals as possible. 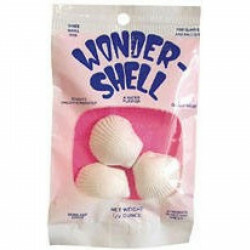 I LOVE THIS STUFF AND WOULD NOT TRUST MY FISH WITH ANYTHING ELSE.